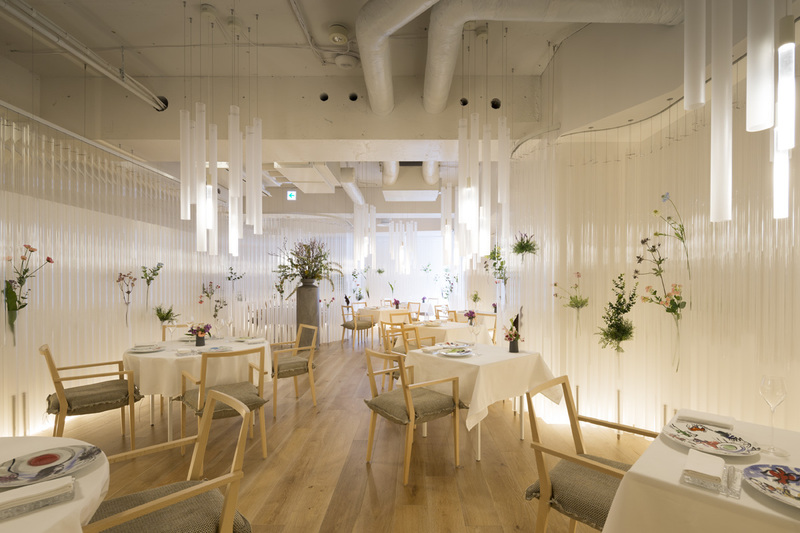 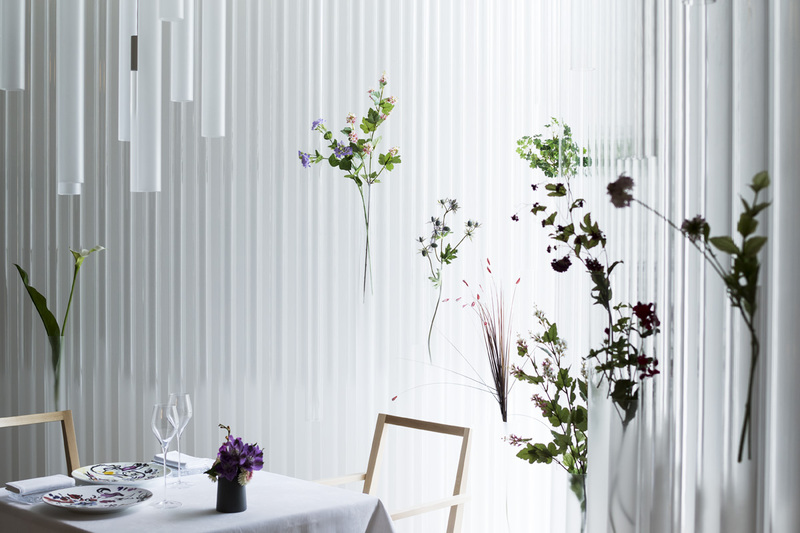 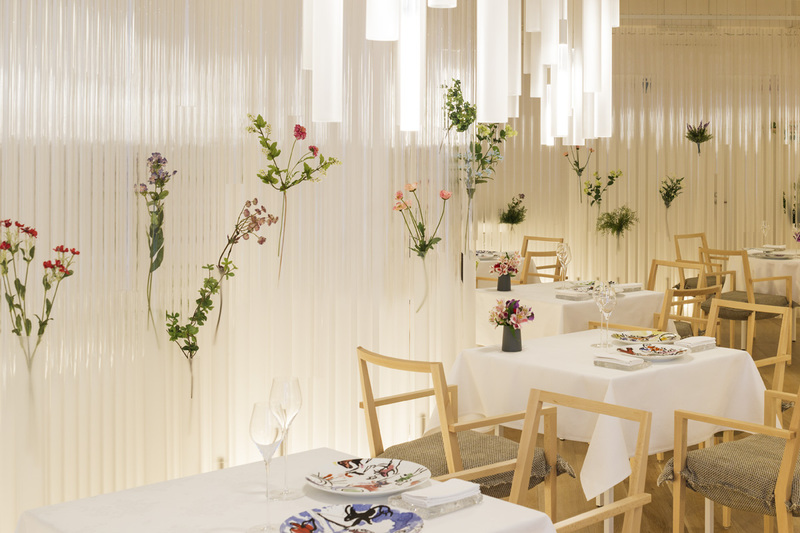 Nacrée is a French restaurant run by a Japanese chef who had worked for Astrance, a restaurant with Michelin’s 3-star rating in Paris. 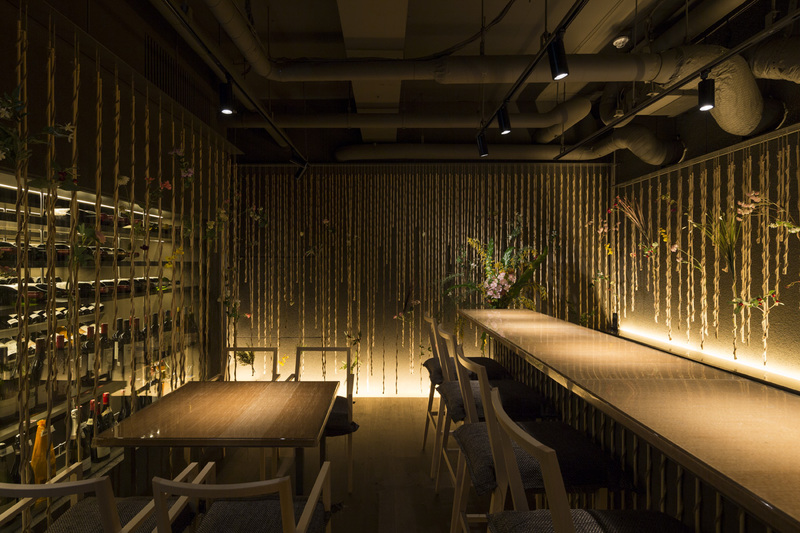 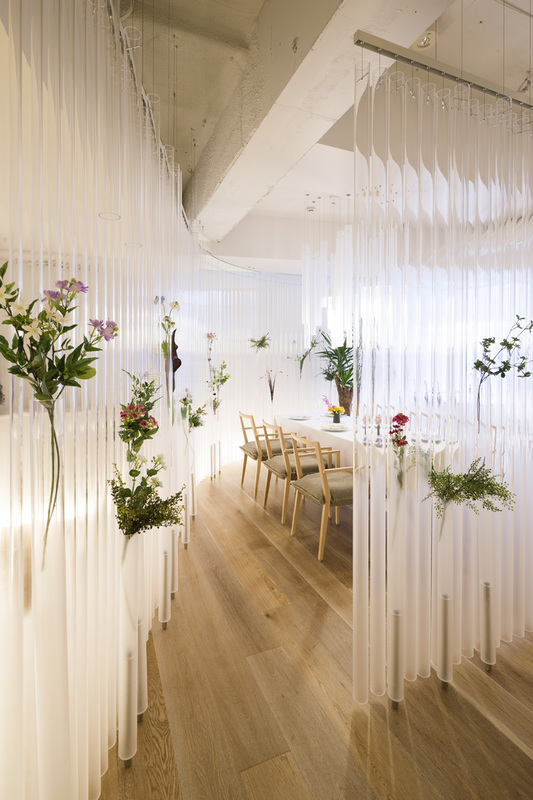 The feature of this space is flowers arranged in cylinders made of wooden bar and acryl. 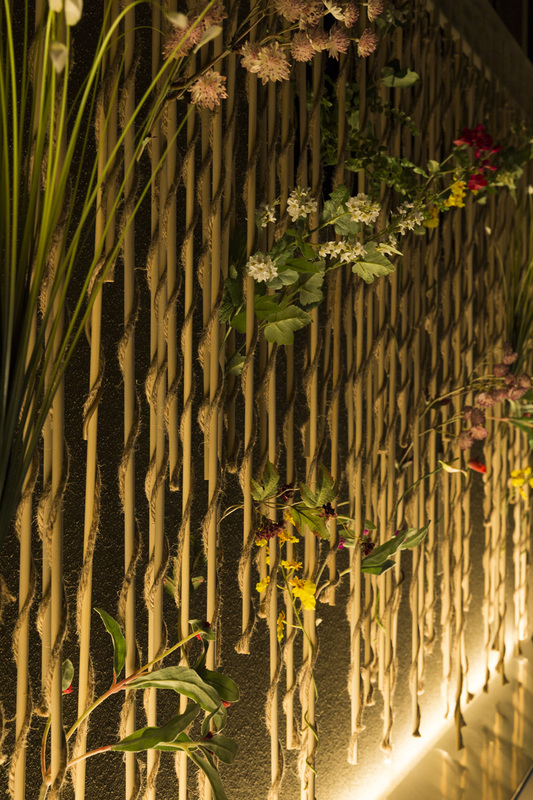 Our aim to cast the artistic flowers at center was to create obscure and gentle air in the space by using an unconventional element of architecture.